PodsystemM2M’s Best signal Multi-Network SIMs have been selected to provide connectivity for Wyssen’s avalanche towers. The ski season will soon be coming to a close and winter sports fans are taking to the slopes to make the most of what remains of the snow. Behind the scenes, Internet of Things (IoT) technology is helping to make the season safer for all concerned. 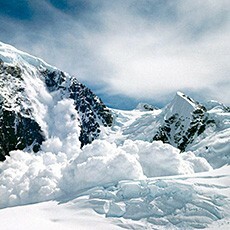 One of the leading technologies in this area has been developed by Wyssen, a Swiss company based at the foot of the Alps that develops avalanche control solutions. Wyssen has today announced that it is integrating into its devices a highly resilient IoT connectivity solution from PodsystemM2M, the global expert in IoT connectivity and innovation. Due to the remote nature of the towers and the need for resilient, mission critical connectivity, Wyssen has decided to integrate best signal, multi-network SIM cards into its devices. The PodsystemM2M solution has been designed with these requirements in mind, including global connectivity across multiple networks on one SIM card, connection to the best signal on device start-up and the ability to automatically swap to a back-up network if signal is lost, giving the most reliable and flexible coverage for Wyssen´s devices wherever they may be situated. “The flexibility of the Podsystem M2M SIM card was paramount”, explains Bejamin Meier, engineer at Wyssen. Previous : Ingenu Announces Significant Expansion of Machine Network from Southeast to Southwest U.S.